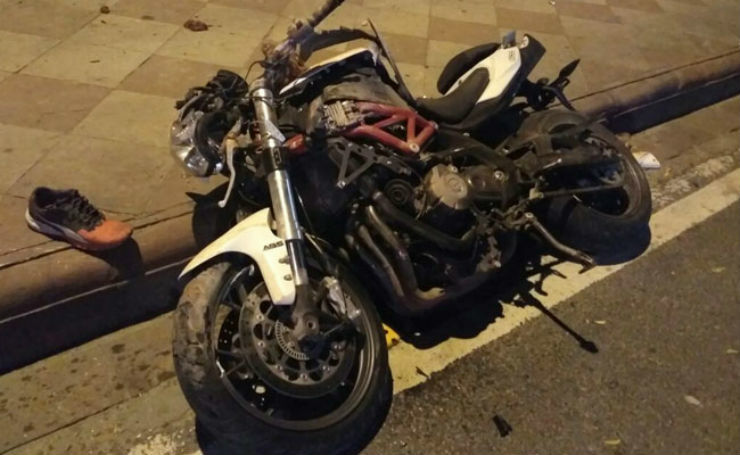 A 24-year-old rider on Benelli TNT lost his life after a high-speed crash that took place in central Delhi on the night of 14th August. The rider was out in a group of other bikers at the time. Here is what happened. The group of riders were coming back to home after meeting in Connaught Place, Delhi. The group discussed plans for the Independence Day ride the following morning and left from the spot. The group reached Mandi House at about 8:45 PM. The Benelli TNT 600i rider, Himanshu was leading the pack. He could not avoid an elderly person crossing the road, crashed into him and lost control. The motorcycle hit the wall of Lady Irwin College. The whole incident was recorded in his friend’s helmet mounted camera who was following him on a Kawasaki Ninja 300. Police are currently investigating if the group was racing against each other or overspeeding. In the footage, the bikes seem to be speeding through streets. The rider was admitted to a nearby hospital by a passerby. He was declared brought dead by the hospital. Cops have also said that the riders were not under the influence of alcohol at the time of the accident. According to the cops, there were three motorcycles and they may be involved in racing against each other. The cops are still investigating the footage that they have recovered from the camera. Himanshu was wearing a helmet at the time of the accident but it could not save the rider from the high-speed impact. Himanshu helped his father in a utensil business in east Delhi. The mid-capacity segment motorcycles are quite powerful and have extreme acceleration. In crowded Indian city roads, speeding on such motorcycles can be extremely dangerous. Always wear safety gear while riding. This includes helmet, gloves, protective jacket, knee guard and shoes. Zig-zag riding in traffic gives you very limited visibility of the things ahead, maintain lane riding. If you want to test motorcycle speed, a closed track is the best place to do it safely. High-speed night riding can be even more dangerous due to pedestrians crossing the road and stray animals.